In a Nutshell: Financial counseling and coaching can take many forms, depending on the needs of the client. 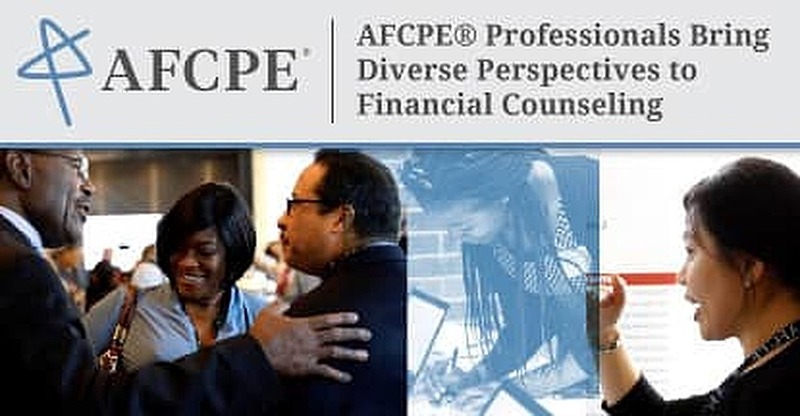 While financial services are typically associated with the wealthy, organizations like the Association for Financial Counseling and Planning Education® (AFCPE®) are working to certify counselors and coaches with a broad range of talents who can provide services to clients of any background. AFCPE helps set the standards followed by financial professionals by establishing expectations that require education, experience, and professionalism. The association’s goal is to have its accredited counselors meet clients where they are with individualized plans designed to help clients achieve their objectives. Accredited Financial Counselors do not sell products and are trained to view each client as a person and not a customer. Few topics require as much social sensitivity as finance. Every consumer faces unique financial challenges and shouldn’t be judged based on the size their bank account balance. Finance professionals, whether in an advisory or educational position, are often seen as the last hope for people who have become lost on their financial journey. People in those occupations have the capability of wielding tremendous power when it comes time to guide a client toward a new path. The Association for Financial Counseling and Planning Education® (AFCPE®) identified the growing power of finance professionals more than two decades ago and decided to do something about it. The organization took swift action to create a set of industry standards to ensure finance professionals have the highest level of knowledge, skill, and integrity by certifying, connecting and supporting diverse and capable counselors who serve communities worldwide. Today, the association is a certifying body for financial counselors and coaches, boasting more than 2,300 Accredited Financial Counselors that uphold the strict standards for best practices, ethical behavior, personal finance education, and professionalism. “We really pride ourselves in being rigorous and having that comprehensive life-cycle approach to how we train our professionals,” said Rebecca Wiggins, Executive Director for AFCPE. Wiggins said the economic downturn a decade ago highlighted the need for a set of standards that guided financial advice so that all people, not just people of wealth, could have access to a high level of care. Accredited Financial Counselors have comprehensive training in savings, retirement, estate planning, and many other facets of financial planning and education. Clients who seek advice from a counselor have peace of mind in knowing that they are viewed as a person and not a customer. While AFCPE offers certifications in financial counseling, as well as financial coaching (in partnership with Sage Financial Solutions), the association boasts an array of professionals among its 1,350 members. Each brings a unique perspective that strengthens the financial community and improves upon the services the AFCPE provides. Many association members and Accredited Financial Counselors are professionals who work either independently or within a company to provide financial guidance or education. But Wiggins said a portion of the group views financial services from a different lens. Each member must adhere to the association’s professional code of standards and development as outlined in the AFCPE resource center. The center also provides professional tools, news, and best practices that are free to the public. Wiggins said counselors aspiring to become accredited must display not only the knowledge and education necessary in their field but also have a minimum 1,000 hours of financial counseling experience to exhibit the level of respect and professionalism the association expects from the counselors it certifies. 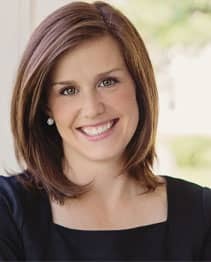 Rebecca Wiggins is Executive Director of the AFCPE. Counselor experience also helps in the ability to create a financial plan that fits the needs of an individual rather than one that is designed to be generally successful over time for anyone. AFC certification must be renewed every two calendar years through the acquisition of 25 Continuing Education Units (CEUs) that can be obtained through completion of AFCPE-run courses and workshops or through pre-approved outside education. New applicants must successfully finish an educational path relative to their field and be able to complete a checklist of core competencies before sitting for the AFC exam. Once certification is obtained, it follows the professional anywhere they go within their state as long as it is kept current. Wiggins said she envisions a future where financial services are available to anyone, regardless of background and assets, to provide an instructional foundation that many missed in their developmental years. For more than 35 years, AFCPE has shaped the standards of practice used by thousands of Accredited Financial Counselors and coaches. Association members include professionals from a host of financial fields who lend their experience and knowledge to help grow the community and extend their reach to a variety of consumers seeking assistance. The rigorous standards help ensure that professionals who earn accreditation are among the best in their field and exhibit a level of professionalism that sets them apart.